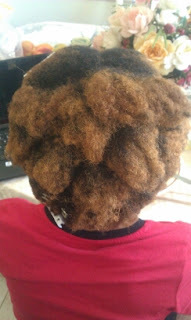 Dry hair detanglers like the Take Down Remover Cream work fast at softening the hair so if your hair is very dry it will be moisturized before you start to untangle the knots. 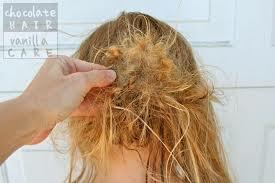 Patience is also needed when detangling dry hair-because if you rush, the hair can break easily. 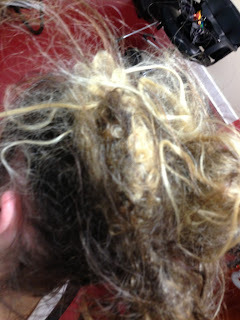 NEVER SHAMPOO VERY MATTED TANGLED HAIR....It will only get WORSE. 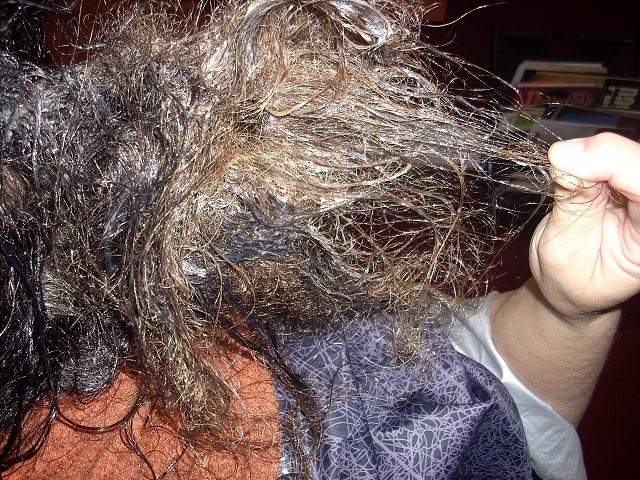 This creates knots, clumps, or masses of tangled matted hair. 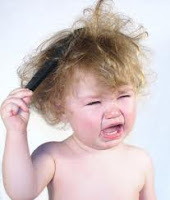 DO NOT wet the hair, this will only cause MORE tangles and breakage. First, SOAK Take Down Remover/Detangler Cream on the hair and massage deeply. Next, add more of Take Down Remover/Detangler Cream to your hair just as you normally would a conditioner and make sure that your hair is COMPLETELY saturated. 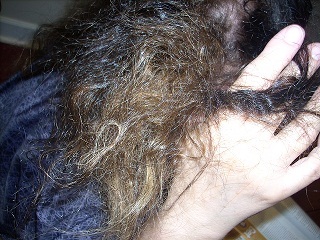 Take a (metal tip) rat tail comb and pick apart the knots and simultaneously use your fingers to untangle. That will prevent breakage. Using the Take Down Remover/Detangler prevents your hair from getting dry; however you should NEVER wet your hair or shampoo until hair is COMPLETELY TANGLE FREE. Don't let anyone tell you its impossible! 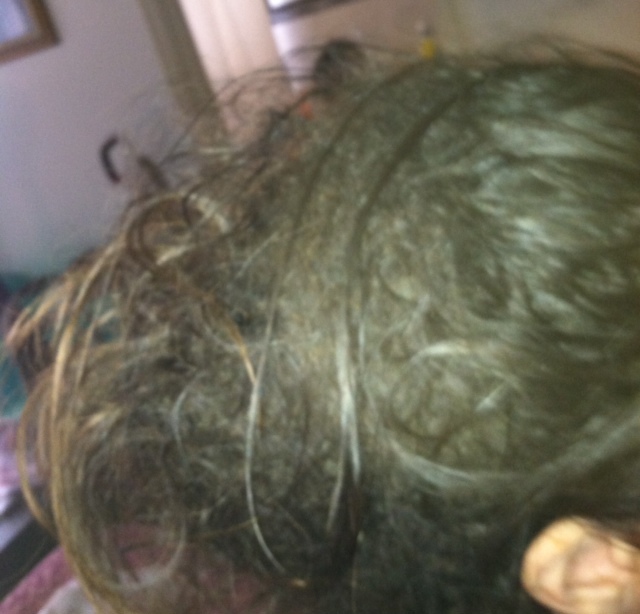 Hello do u untangle matted hair? I was in hospital for 6mths and my hair got neglected, i hav been a victim in a relationship that was violent and controllin. I wasn't allowed to brush my hair, wear make up, clean my teeth etc. 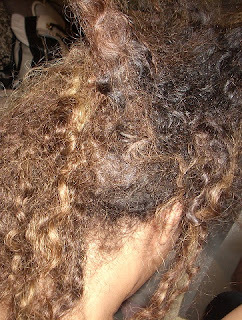 He use to drag me across floor from one room to another by my hair,so now its a matted mess. I am so depressed i can't get it out. Iv tried knotty boi emergency kit and dozens of various other products. I need help! Thank you kindly for your quick response. 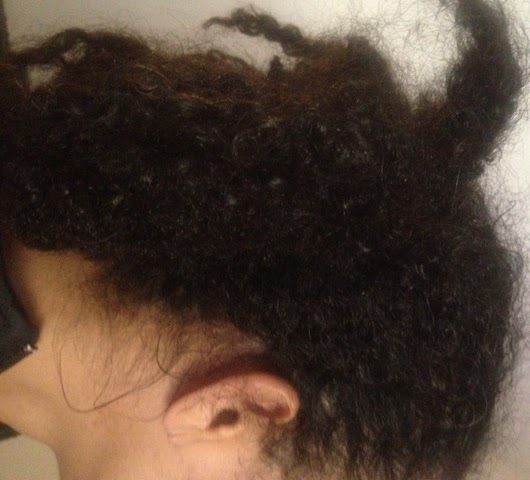 In regards to putting water based products in my hair- like conditioners, I did exactly that thinking that it would be the best thing for me to untangle my matted hair from all the videos that I saw on Youtube etc. 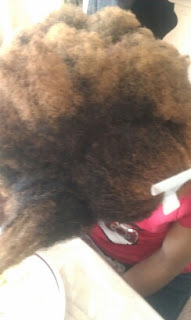 I purchased the Knotty Boy shampoo and conditioner emergency kit and then a detangler cream from the same line and it actually made my hair tighter and worse than it was prior to using these products. 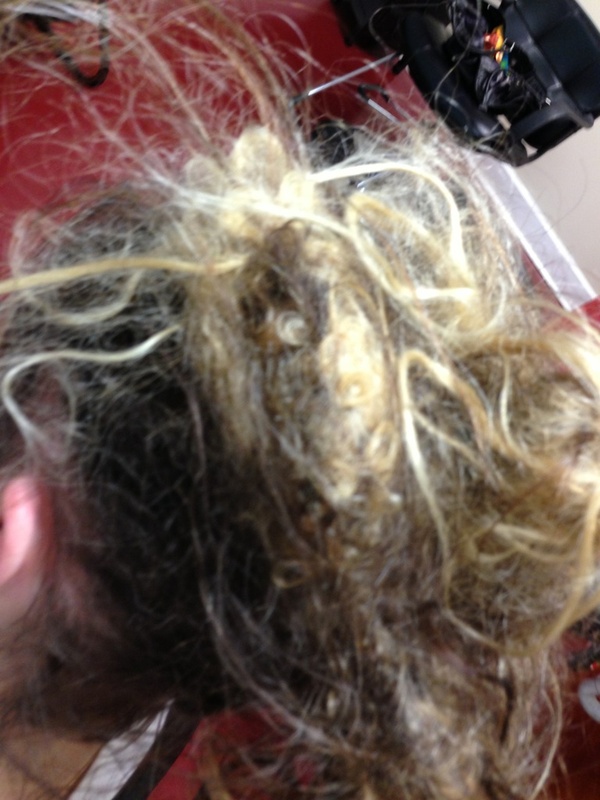 The hair is in a tight birds nest right now and very hard to the touch. I know I'm not supposed to wash my hair but it's getting heavy and itchy with the products still left in my hair. 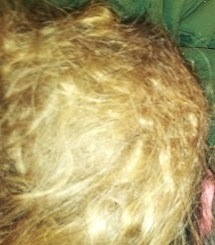 My hair is only matted on the one side of my head. Are you able to get out very tight matted hair? You sent a link for the Take Down product you are offering. Is that good to put on over top of all the stuff I already have in my hair now or do I have to actually wash everything out of my hair and then apply the TD even though you say not to wash the hair? I haven't washed it since June 20th as I had an appointment but my hair has been like this for months and months and months with occasional washes here and there. I guess the most important thing is that I need to know what would be the 'approximate' cost of having someone come to my place? As you know, I'm in Canada and I won't be able to make it as I'm still suffering from my illness and what comes along with it, I'm pretty much house bound, plus that would be rather costly and I am off work at the moment with no income coming in at all. Things are pretty hard right now but I want so desperately to hold onto my hair and TRY to fix it so that's why I'm inquiring about your services and then I will have to make a decision. Thank you so much for taking the time out to respond back to me. I reallllllllllly appreciate it! I would have called but I am rather depressed because of this situation and I tend to cry A LOT now when talking about my hair so I figured it was easier to send an email. Hope that it's okay to do so. My daughter hair in the middle of her head is very matted and severely tangled hair. We live in Guyana. Can you help me in getting it untangled. Really need some advise. 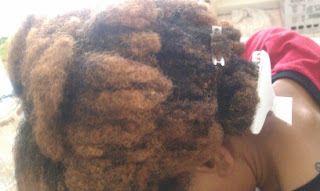 I have developped 3 knots/bird nests in my hair over the weekend due to a combination of permanent color and conditioning. I am in the LA area - could someone assist? WATER Makes Matted Tangled Hair WORSE! 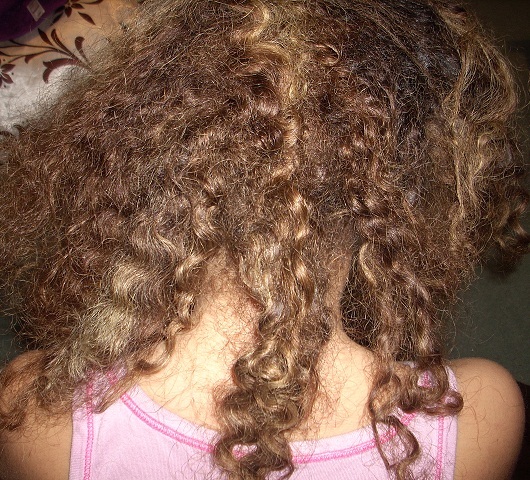 You are actually causing more harm to your very tangled matted hair when you use water, or even hair conditioners. Hi my name is Ginger & I'm a 34 year old mother and wife. I have been living with a mental illness that keeps me so far down I go weeks without getting up out of bed. I was always a girl that loved styling my hair & now my hair is so matted that I have bad headaches, bumps from where the hair is getting tighter in this huge hard knot. 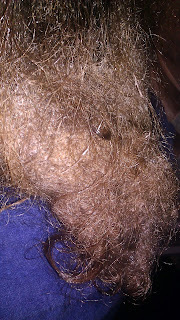 My hair is matted to the scalp with only the thinest pieace of hair that hasn't broken yet hangs. I'm about to shave it cuz I tryed everything & this is causing me to feel so bad about myself that at times I want to die. I know that sounds extremely bad to say but its unbearable, so if you can help me with this issue it would mean the world to me. my name is tanya I live in Tampa, fl. and I suffer from severe Depression! My hair is long and curly. .and I have not had the strength to do anything with it! About a month ago I lost my job and my home I have 3 teenage daughters, they all tried helping me, but I think we made it worst! I suffer from low self esteem as it is to go and shave my head! Can u Help me Please? Do u have a salon in Florida! I dont have time to wait a week because of the Easter holiday coming up on which I can not let my girls down! 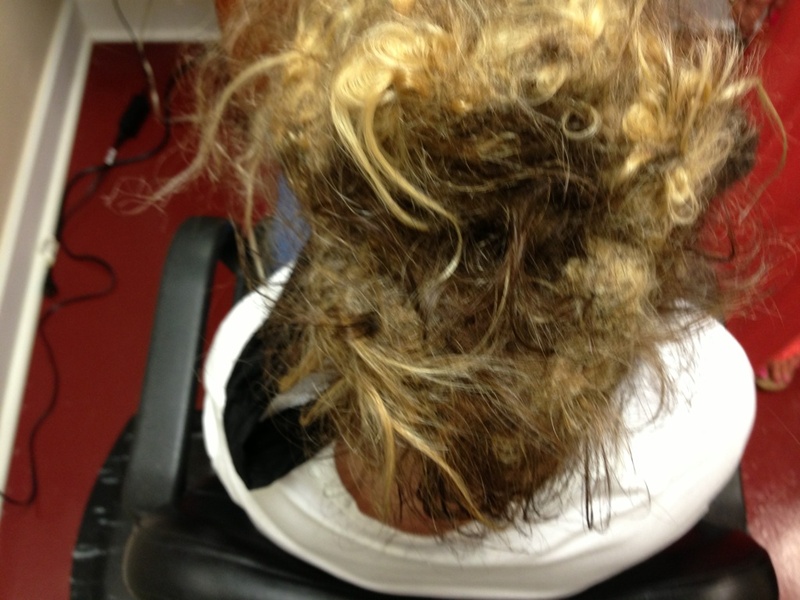 I hope this is the correct email for Tangled hair techs. I'm in complete crisis mode... I am Caucasian that just took her tape in extensions and now my hair is RUINED. I mean before my hair was super thick and all I wanted was length. 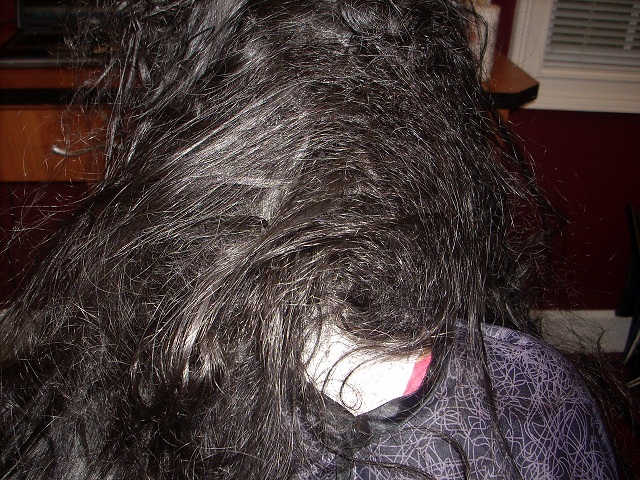 Now I have bald spots and matted hair to the scalp in the back. I have tried baby oil, olive oil, all the glue bonds that are supposed to take glue out and NOTHING is working. I live in Portland OR. Do you guys have anyone in Oregon or Washington? I'm so desperate PLEASE respond! My name is Erin, most of my hair is matted. I was too depressed to care for it and now I'll probably have to shave it off. Please help me! I'm desperate. I live in Melbourne, Australia. Is there anything that can be done? My hair is severely matted/tangled and has been for months! I really do not want to cut it off. I live in the uk. 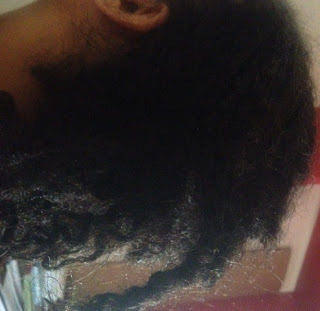 What products can you suggest ive spent hours with conditioners and olive oil but it hasnt worked. Do you have a salon in England? 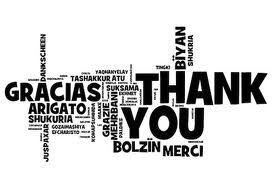 Thank you for your response. I ordered a bottle of take down remover and will advise when it arrives. 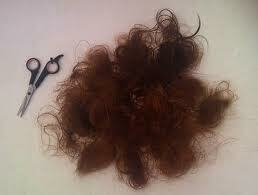 Unfortunately I did start cutting my hair, not much, I felt I couldn't do anything else. 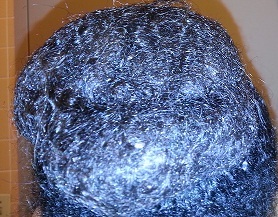 Its matted into a bun and I can't even get to the ends to comb through. 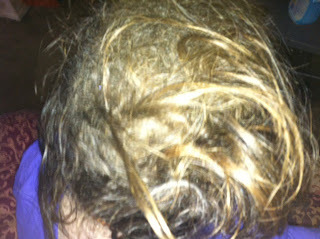 I have been so depressed about my hair which reached my lower back close to all my life. I don't know how I could let it get so bad. I know trying to fix it has made it a lot worse.
" 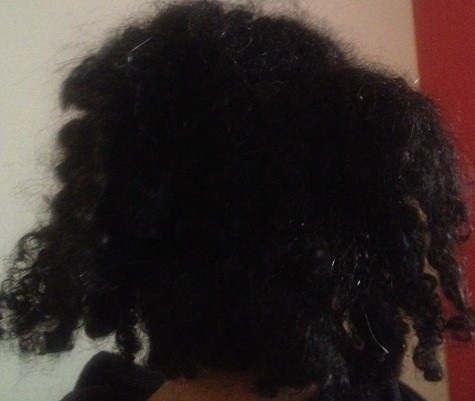 I thought if I washed my hair it would simply untangle the kinks and knots." This is the first thought that comes to mind for most people in this predicament. 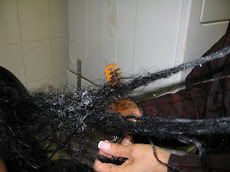 The most common mistake made when women remove weaves, braids, hair extensions, twists, dreadlock extensions or protective hair styles- is to shampoo immediately. 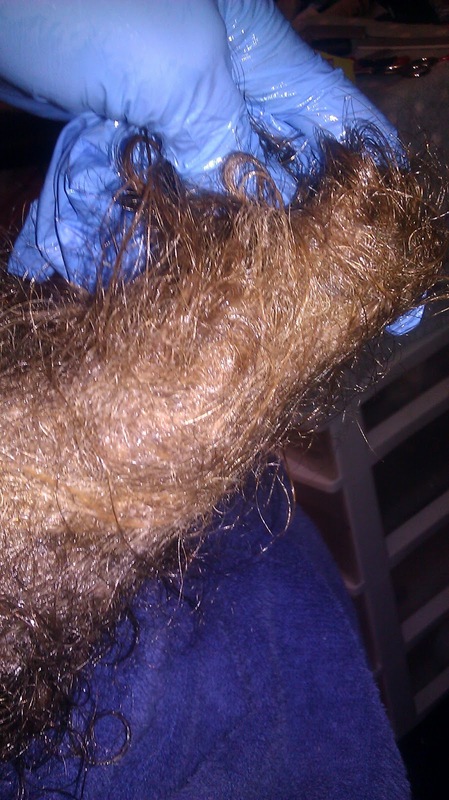 This creates knots, clumps, or masses of tangled matted hair.